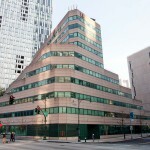 The 10-story St. John University academic building currently occupying the site at 101 Murray Street was purchased by the Fisher Brothers and the Witkoff Group for a staggering $223 million last summer. 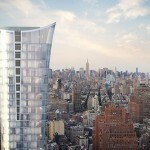 Flush with cash, the university leased 50,000 square feet uptown in Edward Minskoff’s pricey 51 Astor Place. 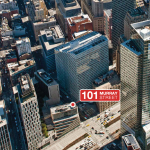 The Murray Street site sits just south and west of 101 Warren, another Minskoff development whose condos sell at an average price of $2,100 p/sf according to CityRealty. 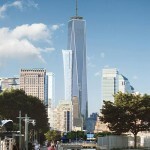 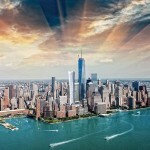 The 129 condos of 101 TriBeCa may face some stiff competition as Lower Manhattan continues to evolve at a record-setting pace. 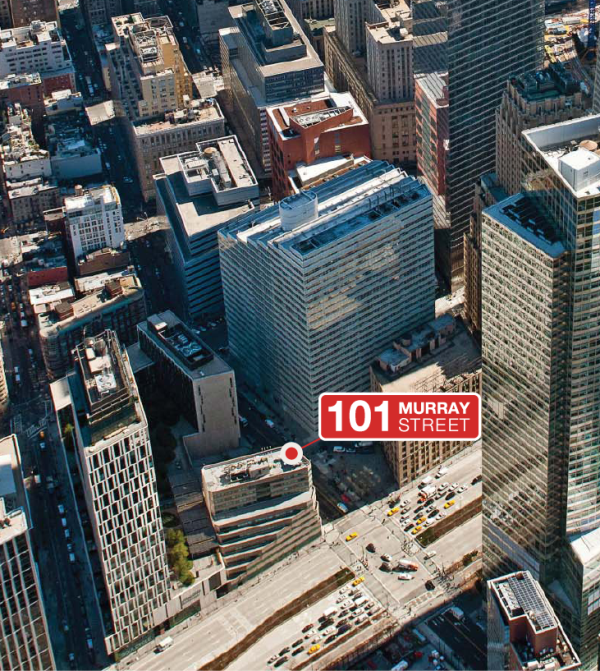 One block south of the Murray Street site, Ben Shaoul is bringing 161 condos to the upper floors of the former Verizon building at 140 West Street. 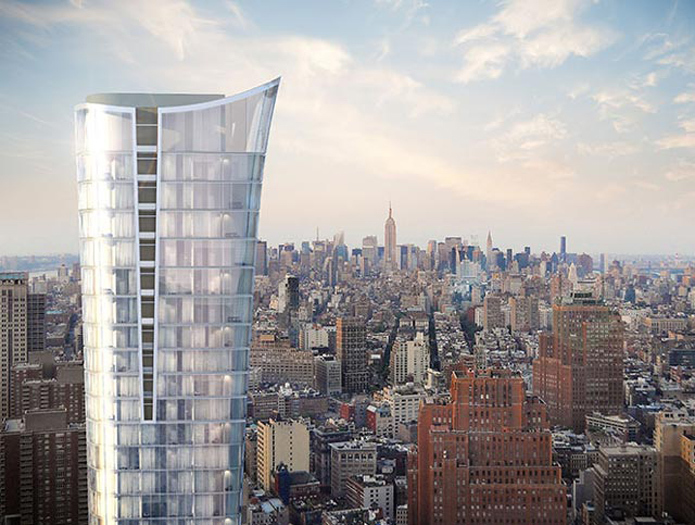 Larry Silverstein’s 30 Park Place is rising a few blocks inland with 157 condos at an average price of $3,200 per square foot. 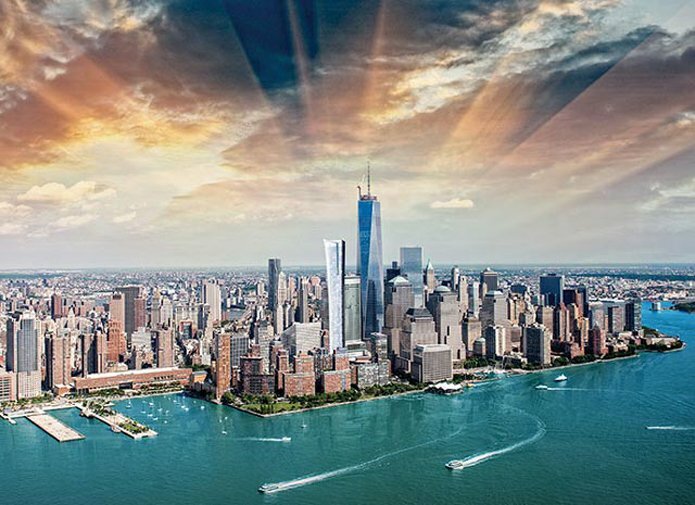 And let’s not forget Alchemy Properties’ own Woolworth Building conversion bringing 34 high-priced units on the market including a staggering 5-story penthouse priced at $110 million.